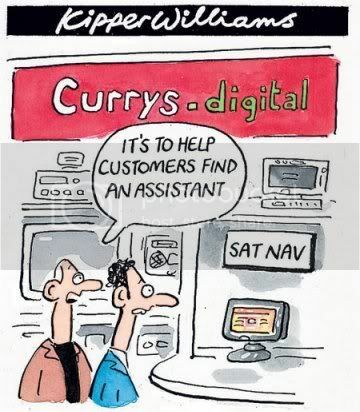 The death throws of PC World, Currys and Dixons currys.digital? 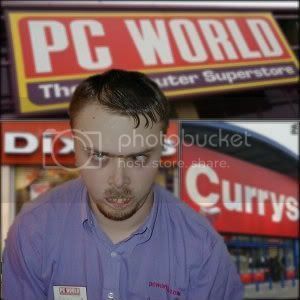 PC World, Currys and Dixons (sorry Currys.digital) are in serious trouble, bad news for the staff but good news for consumers as this cynical group, which until now had an almost monopolistic grip on the UK high street, is being forced to take a long hard look at themselves with the threat of a new rival, supermarket expansion and the continuing onslaught from Internet companies. It is refreshing to hear that the new boss of DSG knows the problems with his companies stores, perhaps he actually visited one recently? The new chief executive of Britain’s biggest electricals retailer yesterday gave a withering assessment of the chain’s problems: it stocks the wrong range of products in badly laid-out stores, and has inadequately trained staff who too often give poor advice. John Browett, the new boss of DSGi, which includes Currys and PC World, also pledged to turn the company around. Entering a Dixons, PC World and Currys store is probably one of the most dispiriting experiences any one looking to buy gadgets, consumer electronic or household electrical goods can have. The stores are appallingly shabby, usually smell and are badly laid out with a limited and overpriced range of goods and accessories. Cynical pricing schemes where you can pay significantly more for buying it in the flesh as opposed to buying over the net, or more gallingly reserving it to collect in store! Is it any wonder that consumers are leaving in droves? The customer service is appalling, a regular feature on the BBC’s Watchdog I believe.The acne ridden, minimum wage paid staff often give useless and misleading advice, assuming you can actually find one, with no knowledge of what they are trying to sell, unless it is those overpriced and worthless extended guarantees or misleading finance packages! That is not to say that you can’t pick up the odd bargain in a store, but that is often by pure luck and I often have the desire to have a cleansing shower after visiting one! The turnaround is a much bigger job than the DSGi boss can have expected. Twelve months ago the former management consultant was a high flyer at Tesco. He had set up Tesco.com and was tipped as a potential chief executive. But he jumped ship to lead the DSGi business, which has been spiralling downhill ever since. The share price has slid so far and so fast that the company is now worth only £1.1bn, barely a third of its stockmarket value when he accepted the job, and it has been dumped out of the FTSE-100 index. Yesterday City traders were unimpressed with the proposed revamp. Shares rattled down another 9%, wiping £100m off the value of the company.